You have a signature and so should your floor. What is a name without a signature? Your floor needs a personal touch too! Like the way you write your name, so too should your floor have a signature, and what better way to complete your floor than with a hardwood medallion inlay. We're experts at the art of designing and installing beautiful borders and medallions. These include simple wood feature stripes in doors or archways; laser cuts; or room-framing intricate borders. Using our exclusive patterns or pre-made designs from Oshkosh Designs, the results are that final signature for your home. 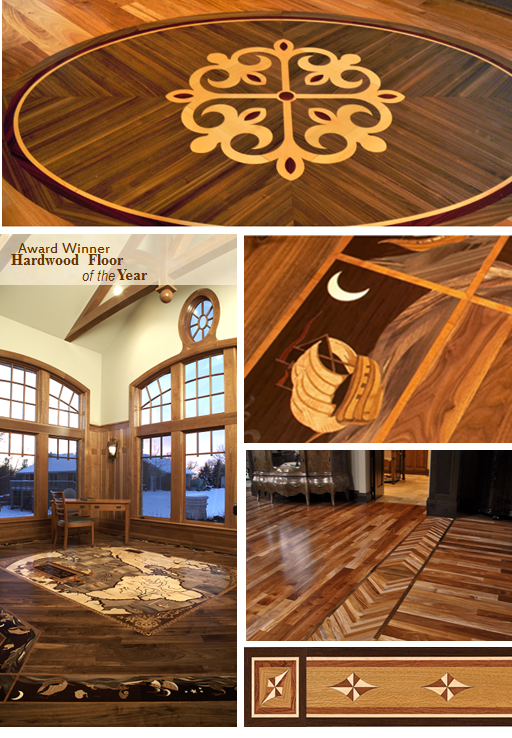 In 2008, the National Wood Flooring Association put Ralph’s Hardwood Floors on the map by awarding us the NWFA's Best Library/Office.